The Skoda Kodiaq GT, the coupe version of the Skoda Kodiaq, is officially out. It will have stage debut at the 2018 Guangzhou Motor Show in November. The Skoda Kodiaq GT is strictly a five-seater and is planned to be produced only at the Chinese factory. At 4,634 mm long, 1,883 mm wide and 1,649 mm tall, the Skoda Kodiaq GT is 63 mm shorter, 1 mm wider and 27 mm lower than the regular model. The coupe version sports a front spoiler, side skirts and rear diffuser. Paramount to the Skoda Kodiaq GT’s notably more dynamic character is the distinctive roofline that gently slopes behind the front doors and the heavily raked back glass. Also, it has the brand lettering in individual letters in the centre of the flat tailgate as on luxury models and large circular dual exhausts. The sharply drawn tail lights with crystalline shapes are unique to the coupe version. The interior design is the same as that of the Kodiaq. It sports the flat-bottomed steering wheel from the regular model’s Sportline variant. Customers will have the option to select between black/beige and black upholstery. The Skoda Kodiaq GT’s engine range includes the 137 kW (186 PS) 2.0-litre TSI petrol and 162 kW (220 PS) 2.0-litre petrol units. The 7-speed DSG dual-clutch automatic transmission is standard. The low-output engine drives the front wheels, while the high-output engine comes standard with all-wheel drive. 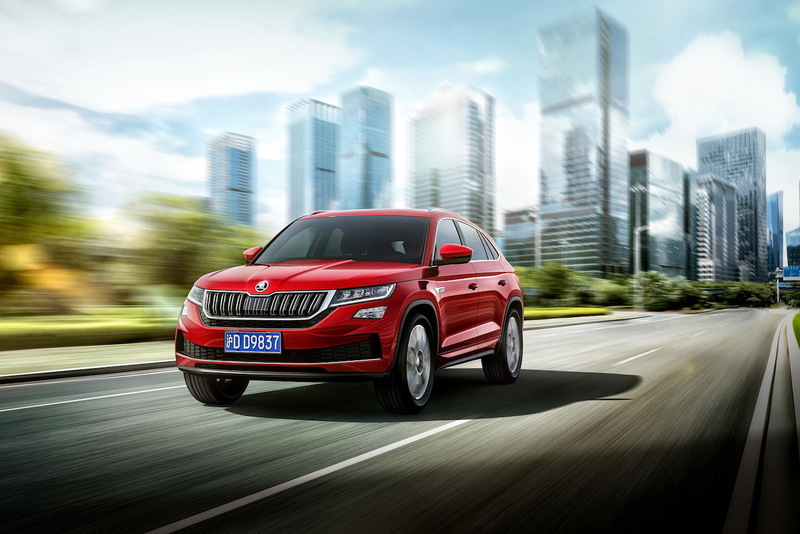 LED headlights, LED tail lights, freely programmable digital instrument panel and infotainment system with Apple CarPlay, Baidu’s Carlife and MirrorLink support and Wi-Fi access are the known key features of the Skoda Kodiaq GT. 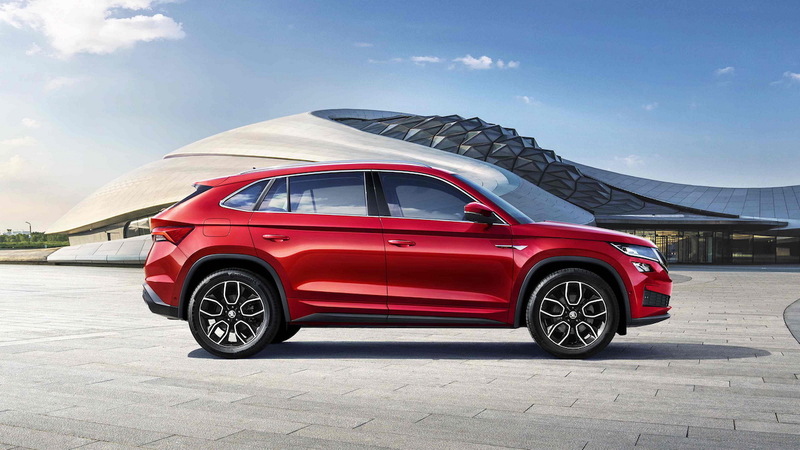 The Skoda Kodiaq GT is exclusive to the Chinese market, though it is reported that global markets are interested in it. The Skoda Kodiaq GT is a China-only model. Other markets are asking for it, but the Czech Republic factory doesn’t have the required production capacity at this time to intake the GT. Even if it becomes a global member eventually, an Indian launch is highly unlikely.